POWER Library is Pennsylvania's electronic library, a service available for all residents of PA. The POWER Library has eBooks, databases, and more available to you! Please explore the links below to get started with these free services. Need additional databases? Check out what resources your local public library has available! The library offers some resources and services to alumni. Alumni are welcome to use the library and check out books. Current print periodical issues are available for use within the library. The library building offers wireless Internet access, which is available to alumni who bring their own laptop or other mobile device. Unfortunately, library electronic databases are not available to alumni. One reason is that Alvernia University has a closed network, and only current students, faculty, and staff are able to login to computers. Another critical factor is that library electronic database subscription pricing is based on current student numbers. Therefore, the library’s database licensing agreements limit access to current students, faculty, and staff. If alumni require access to current electronic journals, a public library generally offers access to electronic resources to patrons. Also, authoritative electronic content is searchable through Google Scholar. If an article of interest is not available in full text, it may be possible to make a request through a local public library’s interlibrary loan department. Alvernia University alumni, residents of Berks County, and students, faculty and staff of ACLCP colleges are entitled to borrowing privileges. 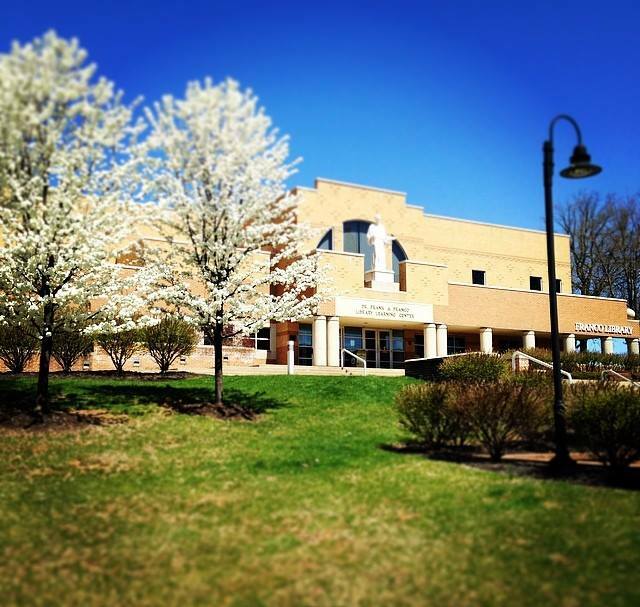 Alvernia Alumni may register for a library card at the main desk by presenting a photo ID. You must present this card whenever you want to check out materials. You will be held responsible for all materials checked out on your card, including any unauthorized use, until the library has been notified that the card is lost or stolen. You will also be charged for any lost or damaged materials. You must replace a lost card to continue borrowing library materials. The loan period for circulating books is 30 days. Patrons may check-out: general collection books, curriculum materials, children’s books, and CD's. Patrons may not check-out: Bestseller books, audiobooks, videos (DVDs or VHS tapes), and items in the Italian-American collection. Items may be renewed once, either in-person or by phone. The fine for overdue items is $0.05 per day. Items more than 1 month overdue are considered lost. Patrons with a lost item or more than $10 in fines will not be allowed to check out materials.